Best Primary English Writing Activity. " Who is this boy?" Activity : Roll the Dice...Read the Question...Write the Answer. This is one of my favourite activities done with my 1st class children. For developing written discourse. 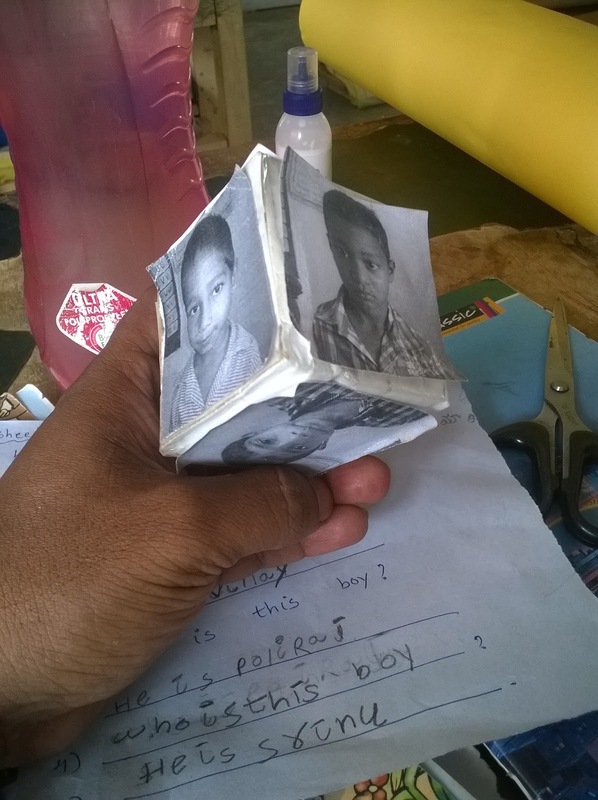 I prepared this picture dice after oral discourse of this language task. Through this activity children will able to write answer the question, read the question and write their friends names with their help. And also they can develop their language usage with their other friends and family members. 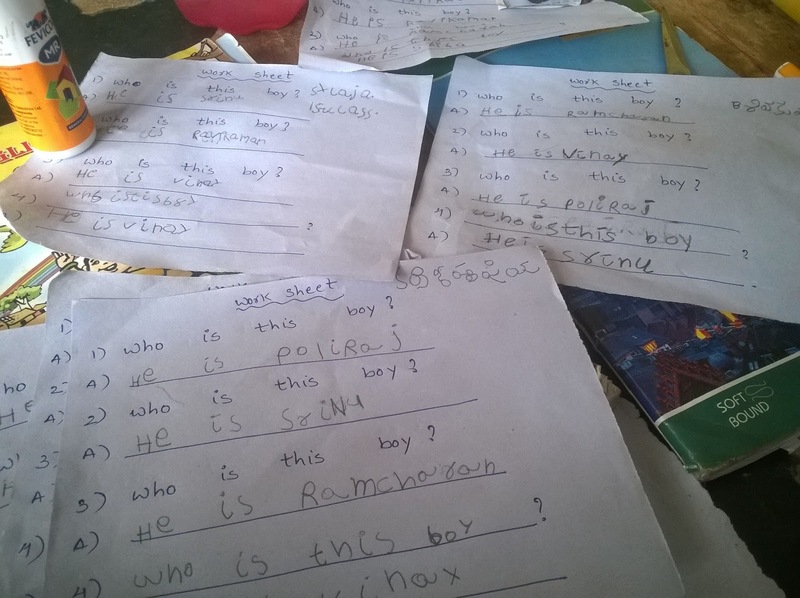 It will help the children to understand how to write answers using phrases. With this picture dice, I prepared a worksheet with questions and distribute among my children. I asked them to sit in groups and roll the dice. Now other group members should ask that question " Who is this boy?". 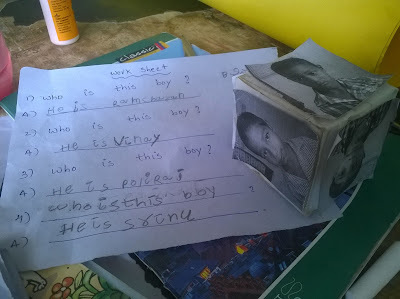 Then the children who rolled this dice should say the answer loud like " He is Ramcharan?". Now he should write the answer. Like other children should continue. Teaching English story through Gestures. Primary Classroom Displays and charts. Famous Children Rhyme "Rain On The Green Grass. ".